Gran Canaria originally means ‘Great Island of Dogs’. It is the second most populous island of the Canary Islands. Gran Canaria was populated by the Canarii (Guanches), who may have arrived as early as 500 BC. The Canarii called the island Tamarán or Land of the Brave. The capital city of Las Palmas was founded on June 24, 1478, under the name “Real de Las Palmas”, by Juan Rejón, head of the invading Castilian army. In 1492, Christopher Columbus anchored in the Port of Las Palmas (and spent some time on the island) on his first trip to the Americas. Gran Canaria is located southeast of Tenerife and west of Fuerteventura. The island is of volcanic origin, mostly made of fissure vents. 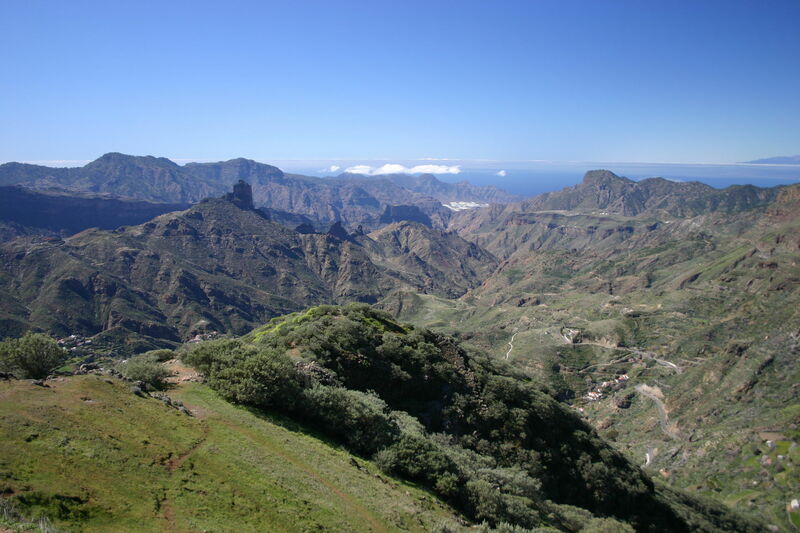 Gran Canaria has roads encircling the whole island and extending into the mountain areas. In the late 20th century, its motorways, among the first in the Canary Islands, were opened and run around Las Palmas, and were later extended to the north coast and the airport and subsequently to the south coast in response to increased tourist traffic. Gran Canaria is noted for its rich variety of micro climates. Generally speaking though, the average daytime high ranges from 20°C in winter, to 26°C in summer. Some cool nights occur in winter, but lows below 10°C are unknown near the coast. Inland the climate is still mild but mountainous areas see the occasional frost or snow. This island is called a “Miniature Continent” due to the different climates and variety of landscapes found, with long beaches and dunes of white sand, contrasting with green ravines and picturesque villages. The island possesses 32 Natural Protected Spaces, that they emphasize the Rural Park of Nublo, The Doramas Jungle, the Azuaje Ravine, Tamadaba, Pino Santo, etc. Most tourists stay in the south of the island, which is sunnier and has less rain than the north. In the south there is a large bird park, Palmitos Park, as well as many beach resort communities. Resorts are concentrated in the central eastern part of the southern coast in the Maspalomas area, which includes the towns of San Agustín, Playa del Inglés, Sonnenland, Maspalomas and Meloneras. The Dunes of Maspalomas are located between Playa del Inglés (“The Englishman’s Beach”) and Maspalomas. Another tourist attraction is the lighthouse at Maspalomas situated at the western end of Maspalomas. Still further to the west along the southern shore, in the Municipality of Mogán, are the communities of Puerto Rico and Puerto de Mogán, a village referred to as “Little Venice” on account of its many canals. Other attractions include Cocodrilos Park, Roque Nublo (an 80 m monolith), Cenobio de Valerón with about 290 caves, Cueva Pintadathe most important archaeological park in Canary Islands and the botanical gardens Jardin Canario (in Tafira Alta) and Cactualdea (in La Aldea de San Nicolás). The cap ital city is Las Palmas de Gran Canaria. 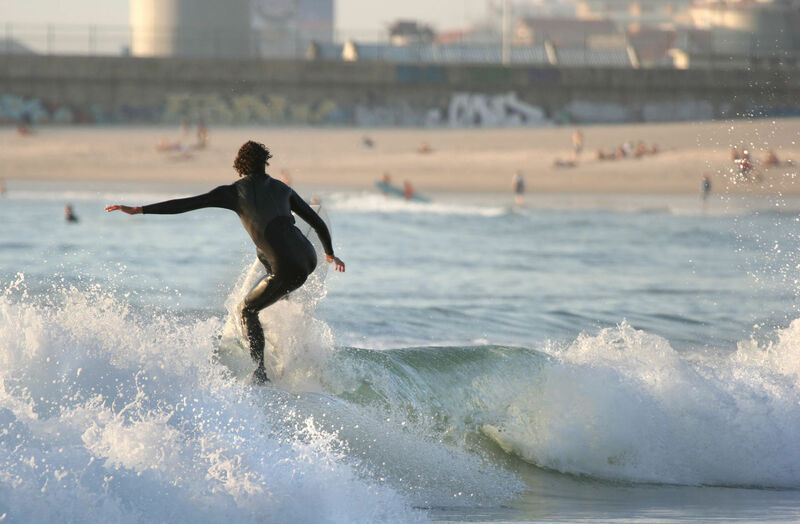 Las Canteras Beach lies in the heart of the city, it is a protected area and diving zone. Las Palmas is also known for its annual Carnaval. It was the first stop of Christopher Columbus’ expedition on his way back from the Americas, a commemoration of which is the Hermitage of San Antonio Abad, where the navigator prayed, and the Casa de Colón. Other attractions in the capital city include the Museo Canario (the most important archaeology museum in the archipelago), the Cathedral and the Plaza del Espíritu Santo. 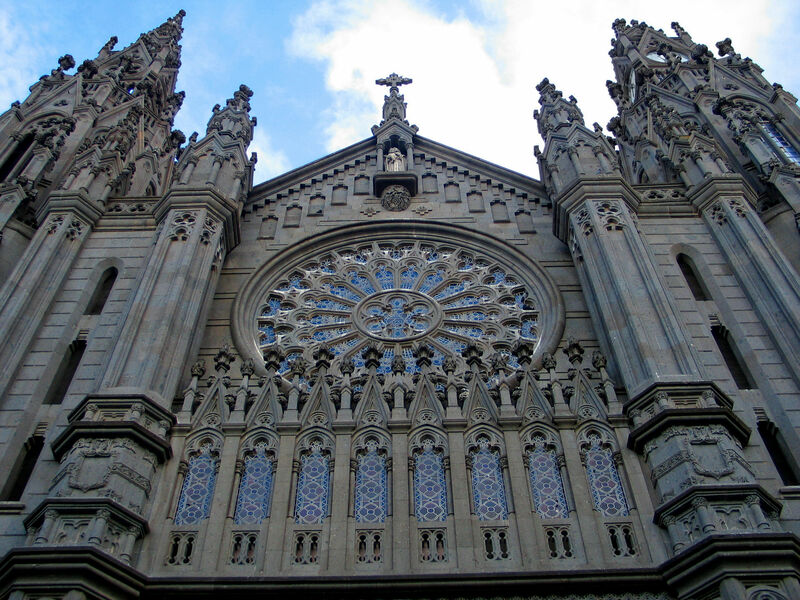 In Teror the shrine of Virgen del Pino, patron saint of Gran Canaria, can be found. Very nice article! And great timing too! We are planning to celebrate family holidays to grand canaria 2013 sometime this month. This article just made me all the more excited to go to Gran Canaria.